Due to a $750 million budget gap, Massachusetts Sales Tax Holiday 2017 could not happen. Massachusetts Tax Free Weekend typically lands in August and is still planned for 2017, but the plans might be changing if there is no other solution for the budget dilemma. We will continue to watch the Massachusetts legislature for the status of the bill. BOSTON, Mass. (WWLP) – Every year, state lawmakers debate on whether to have an August sales tax holiday. It all depends on whether the state can afford to lose that revenue. For two days out of the year, the state typically waives the 6.25 percent sales tax on most purchases under $2,500 dollars. The tax-free weekend lands in August because it’s the slowest shopping month of the year. It’s a good opportunity for parents to save money on school supplies for their kids, or to splurge on those big-ticket items. But the problem is that this year, the state appears to be running out of money. 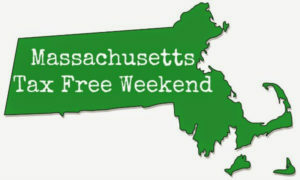 For everything Massachusetts Tax Free Weekend 2017, click here.